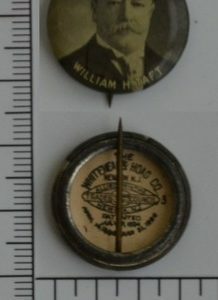 William Howard Taft campaign buttons represent Taft who was the 27th President of the United States (From 1909 to 1913) and later the 10th Chief Justice of the United States. 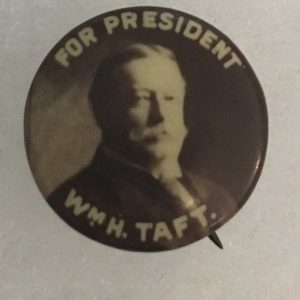 William H. Taft is the only person to have served in both of these offices. 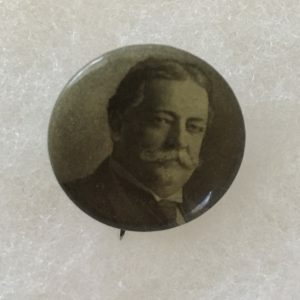 When Theodore Roosevelt kept his promise not to run in 1908, he chose William Howard Taft as his successor. 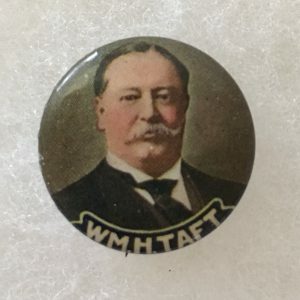 Despite the fact that William Howard Taft was extremely talented both as a judge and as an administrator and was extremely well liked by just about everyone, Taft did not really like politics and did not want to be president; he wanted to be a Supreme Court justice. 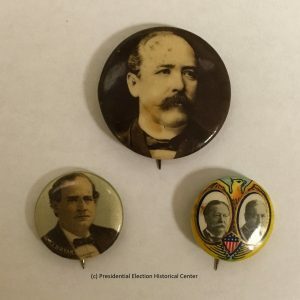 It was both Roosevelt and Tafts wife, Helen, who convinced him to run. 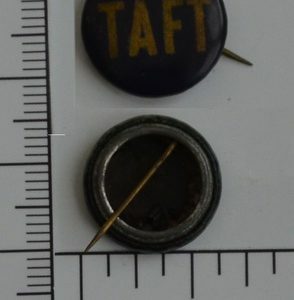 While the buttons featuring Taft are very attractive, there were few that reflected the issues of the day. 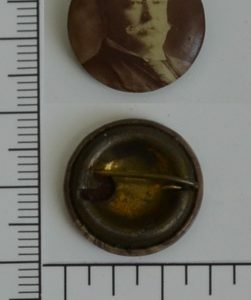 In 1908, there were some well- designed buttons that reflect the art nouveau style of the period. 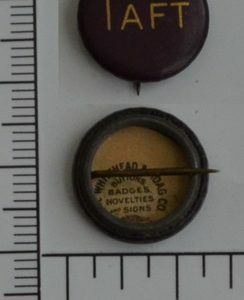 Taft 5/8 inch photo celluloid campaignábutton with. Fair condition. 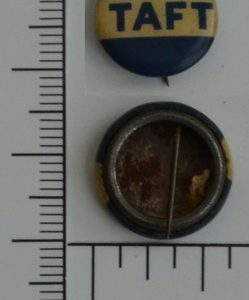 Photo Taft 3/4 inch celluloidábutton with nice back clasp fastener. Good condition. 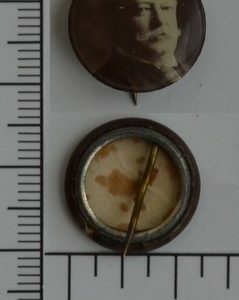 7/8 inch WM. 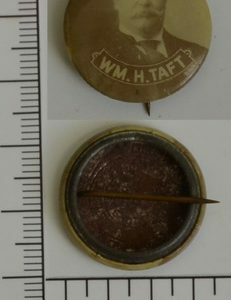 H. Taft celluloid campaignábutton Good condition. 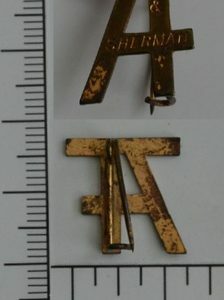 Taft & Sherman 5/8 inchW Metal Pin. Good condition.